Originally domesticated in South America and imported in Europe in the early 16th century. Tomatoes have become a staple in many cultures’ diets. Today it is almost impossible to imagine life without them. They come in all shapes, sizes, colors and include a variety of flavors ranging from sweet to acidic. We can ask the question: Are the tomatoes intelligent plants? My answer would be: Yes! They are quite intelligent plants because of their ability to adapt and thrive in a number of different environments, in addition to being able to communicate their needs to growers. Overall, our communication with tomato plants is limited. However, by studying, cultivating, observing these plants for such a long period of time we’ve learned a lot about them. We know more about their behavior, about their needs, and how to create symbiotic relationships with these amazing plants. The more you enter into the world of tomatoes, the more interesting and exciting it is to grow them, harvest and eat their delicious fruits. 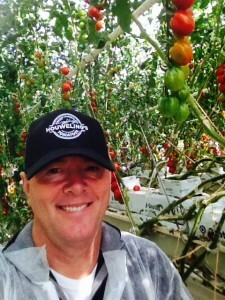 John Thorne wrote: “The tomato is softly, lovely and yielding and totally yours; it was borne to give pleasure.” I agree! 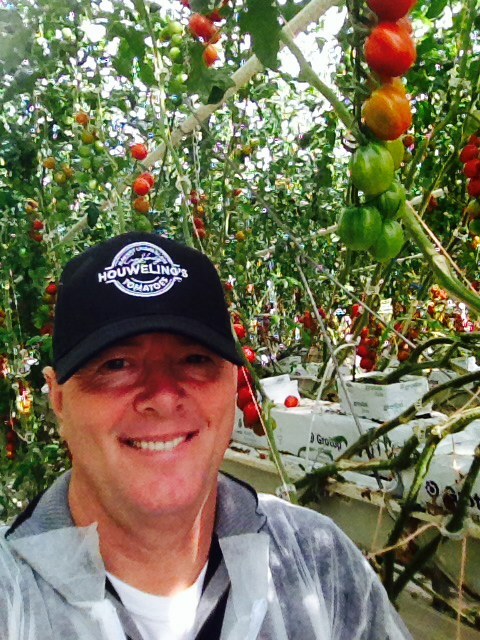 This entry was posted in Culture, Greenhouse Grown, Health, Innovation, Life, Mastery, Newsletter, Sustainability, Tomatoes, Uncategorized and tagged Growing Tomatoes, Head Grower, Houweling, Houweling's, Houweling's Tomatoes, Humans & Tomatoes, Tomato History, Tomatoes. Bookmark the permalink. Comments are closed, but you can leave a trackback: Trackback URL.